We focus on research and development to ensure you get the benefit of the most innovative technologies available today, in order to help you reduce printing time and drive down costs. 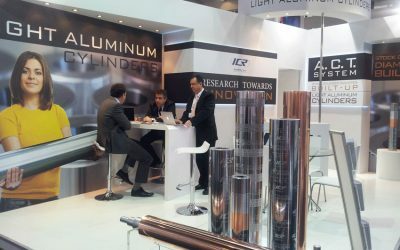 Benefit from the advantages of our new super-light Aluminum Gravure Cylinders. Minimize your cost of stock level and decrease the lead time required for brand new cylinders. Take advantage of our pre-press, packaging design services and more. Our R&D department continues to innovate and to present you cutting edge technology. We protect the environment by managing humid wastes. We push the boundaries to ensure peak performance. 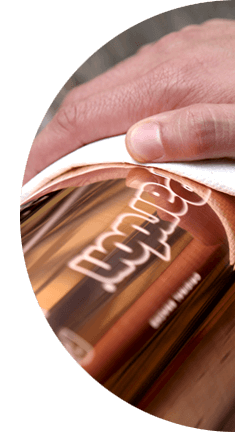 Our cylinders and flexographic plates deliver excellent ink transfer, durability and stability. Our sales department is ready to respond to your needs. 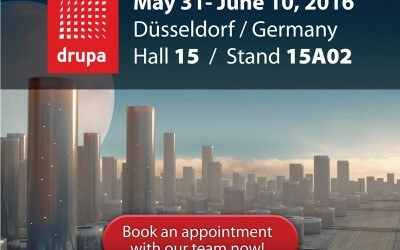 ICR Ioannou S.A. is pleased to invite you to Drupa 2016 in Dusseldorf, Germany, the world’s leading trade fair for printing equipment and new technologies. 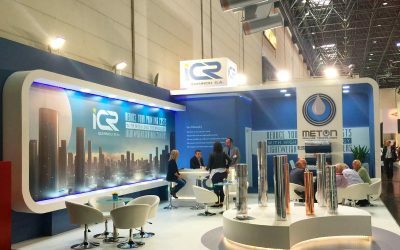 Our company will be located in Hall 15 Stand A02, where you will have the opportunity to view and discuss our latest products and our multi award winning cylinder technology. 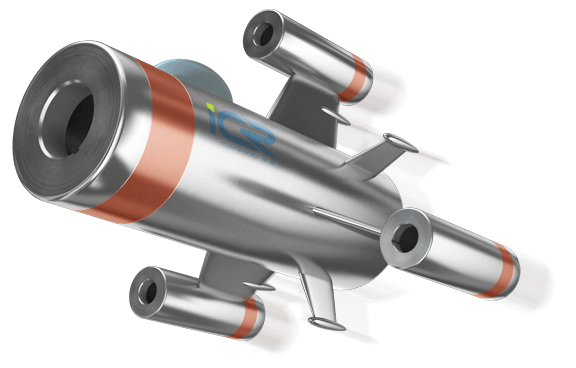 At the ICE EUROPE 2013, in Munich, ICR-IOANNOU S.A., participated presenting the technological advantages of the company’s products, under the moto “RESEARCH TOWARDS INNOVATION”. 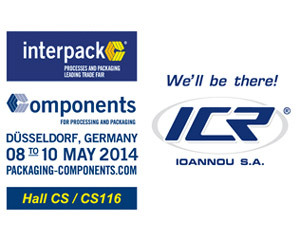 ICR IOANNOU will participate in the exhibition Components for Processing and Packaging that will be held in Dusseldorf from 8 to10 of May 2014 in parallel with Interpack Processes and Packaging. We will be glad to welcome you at our booth HALL CS / CS 116!